We say it all the time because it's true, St. Louis is such a giving community! 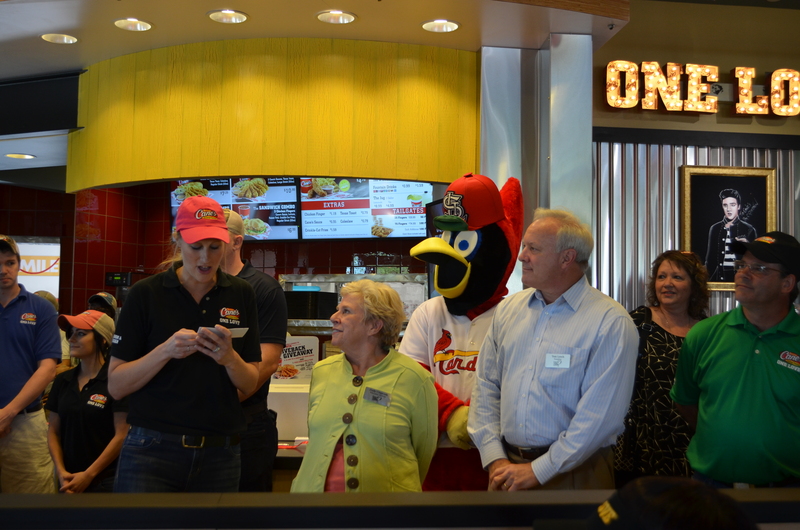 The Chesterfield Raising Canes recently celebrated their ribbon cutting ceremony and presented Friends with a $1,000 check. Even Fredbird stopped by for all the fun! Raising Canes has been so generous to our organization before their doors officially opened by volunteering as a team. Thank you, Raising Canes, for helping kids with cancer...be kids! 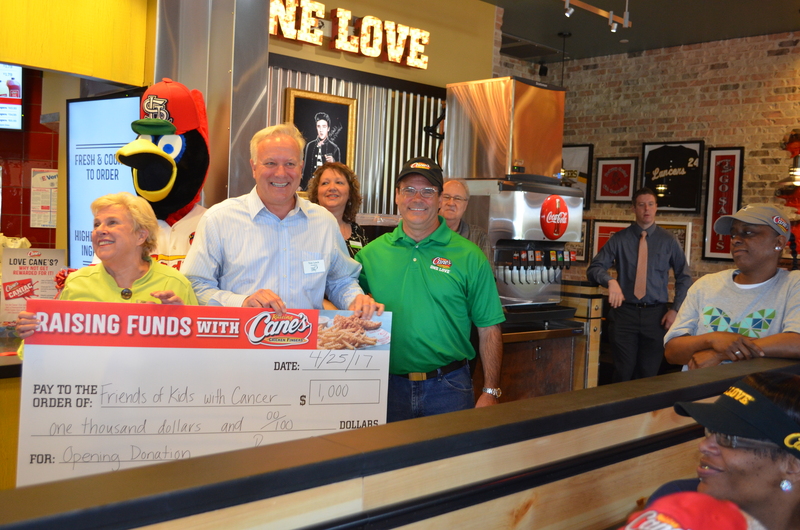 Friends' Executive Director, Judy Ciapciak, and Board President, Tom Lynch, accept the check from Raising Canes.